The Brecon Sprint Triathlon 2019 is Now SOLD OUT! 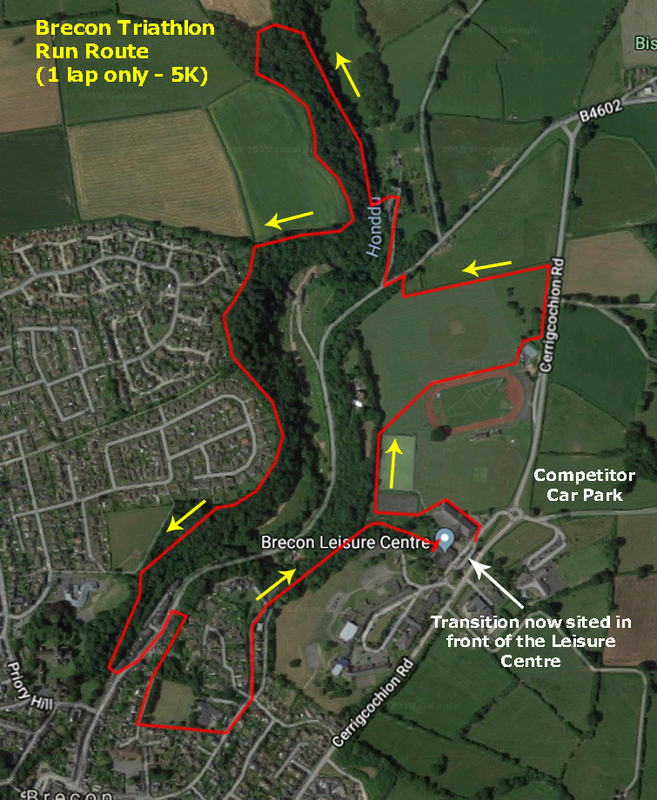 We are delighted to announce that after last year's success, Brecon Sprint Triathlon is back! You don't need an alarm clock for our triathlon - it starts in the afternoon! 12.30pm. T-SHIRTS BACK BY POPULAR DEMAND! 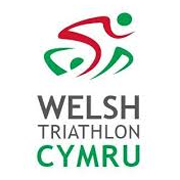 With the support of the Welsh Triathlon Association and Freedom Leisure, Brecon Triathlon Club is organising this established Sprint Triathlon again in May 2019. Brecon Triathlon has always proved popular, but in the past few years the shorter course with stunning views of the Beacons was a real hit with novice and experienced triathletes alike. The course is the same as the last seven years. However transition is now sited on the car park directly in front of the Leisure Centre. Please note that event will be starting at 12.30pm to give everyone a nice relaxed start to the day. A new school is being built on the land between Brecon Leisure Centre and the athletics track. All triathlons start with a swim, which is followed by a bike ride and ends with a run. You'll race against the clock which starts with the swim and stops when you cross the finish line after the run. Swim Start Times 2019 will be posted here (.pdf) and emailed out to all competitors. Race information will be updated and posted here. This includes your Swim Start Time (.pdf) and full Race Brief 2019 (.pdf). Your start time is determined by your given swim time with the slowest athletes starting first. There is no maximum time for the event, and in the past everyone has finished by about 4.30pm. Accommodation - there are lots of local camp sites, guest houses and hotels within walking distance of the Leisure Centre. Check out BreconBeacons.org for more information. Car parking - The Leisure Centre car park is closed to vehicles - it will be the transition area this year. There will be plenty of free car parking space in a field just off the roundabout adjacent to the Leisure Centre (this will be signed on the day and is marked on the run route map below). 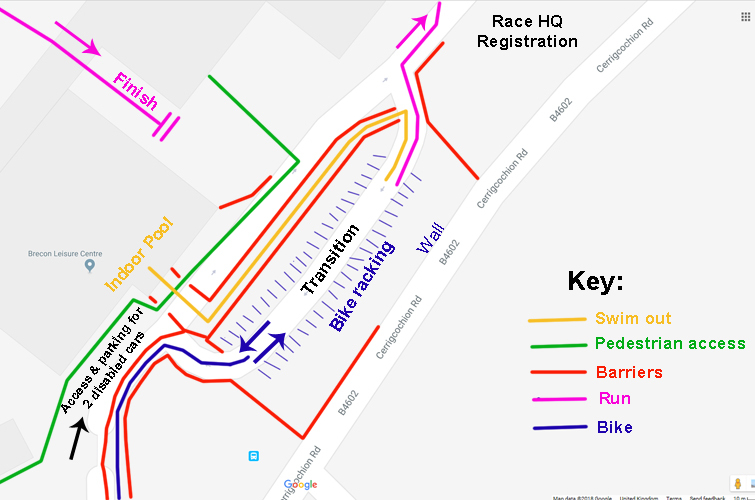 Registration & separate help desk - when you arrive on race day you must register to get your goody bag including, race number, bike/helmet number stickers, race tattoos and timing chip. There will be a separate help desk to answer any questions and this should ensure there is no delay in registration. Registration opens at 11am. Chip timing will be used this year. It takes the form of a velcro strap that you wear on your left ankle (ie the side away from your bike chain). Attachment anywhere else will jeopardise an accurate race time. Chips must be returned at the finish line. Race number - you will be issued with 1 race number (22cm X 21cm) to wear during the bike and run sections. Ideally it should be on your rear during the bike, and front during the run. A race belt is ideal for this. Race stickers - you will be issued with 2 self adhesive stickers of the same size (6cm X 4cm). One sticker is to go on the front of your helmet. The other sticker is to go on the front stem of your bike (ie below the handlebars). Race tattoos - you will be issued with two race tattoos. They are easy to apply. Water and sponges will be available at Registration. The race tattoos are applied to both the right and left upper arm. Outdoor 'Transition' - the transition area will be in the car park right in front of Brecon Leisure Centre. Similar to other triathlons, this is an outdoor 'transition' area where you will rack your bike, helmet, shoes and other kit. It may be worth bringing a bag (no boxes allowed) and also a towel to put on the ground underneath your shoes. There will be a marshal in the transition area on race day who will direct you and answer any questions. Before entering the transition area please attach your Race Number sticker to your bike and helmet. The marshal at the entrance to transition will check the Race Number on your kit/race belt and arms matches the number on your bike. Only entrants with a visible and corresponding Race Number on their bike will be allowed access to the transition area. Do not enter transition without permission form a Marshal and do not ride in transition. No family or friends will be allowed in transition. The use of mobile phones and MP3 players is not permitted in the transition area. This is a non drafting event - taking shelter behind or beside another competitor or motor vehicle (known as drafting) during the bike phase is not allowed. Check out the British Triathlon poster for more details. Know the course! - as a competitor it is your responsibility to know the course. The race marshals are not there to direct you but will help to ensure your safety. The bike leg has a loop section which often causes confusion (and disqualification) for the unprepared, so do your home work. The routes are well signed and this page contains a video of the bike course. There are no changes on the bike route from last year. The run route does have some slight changes so see the map below. We will be holding at least one evening before the event where we will take people round the bike and the run course. Keep an eye on our website/facebook and twitter feed. Food and drink - there are no feed or water stations on the course. It would be best to take your own food and water on the bike if required. There will be free tea and cake for all competitors at the finish line. There is a cafe in the Leisure Centre but it does shut early on Saturday afternoons. There are some vending machines but it may be a good idea for spectators to bring a sandwich and flask! There is a Morrisons supermarket a short walk down the hill into town. Withdrawal Policy - our full policy is available here. No transfers of entry to other triathletes are allowed. The triathlon starts with a 400m swim in Brecon Leisure Centre indoor pool. The pool is 25m which means a total of 16 lengths have to be covered. All strokes except backstroke can be used but crawl is the fastest and most efficient. Swimming is a very technical sport to master, especially if starting out later in life. Technique and swim fitness are key. If very keen then we would advise getting some formal swimming lessons for starters and most local pools can usually arrange this. We don't offer any specific triathlon swim training for event participants. You can use most types of bike for a triathlon, so long as the bike is road worthy and safe. There are a few rules to be aware of, so here are the key things you need to know. 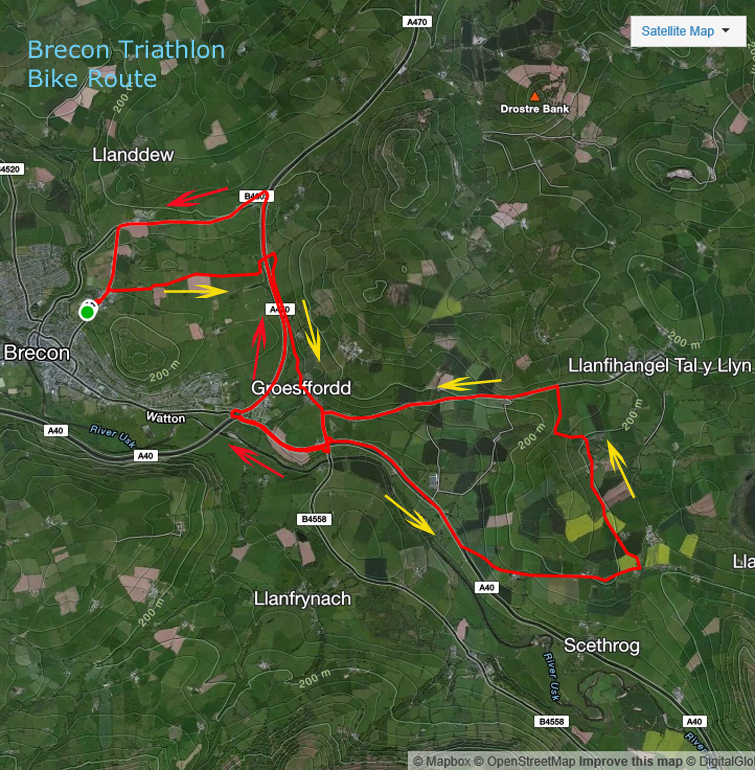 All the rules of triathlon apply to the Brecon Sprint Triathlon. For the full text of the rules, see the British Triathlon Rule Book. - Bikes must be well maintained and road worthy. - Bikes must be of a standard size. If unsure see the rule book for the measurements. - There must be a working brake on both wheels. - Bikes must be capable of freewheeling. - Bar ends must be plugged. - Add-ons such as computer or lighting brackets and mounting points, must be positioned so as to prevent injury in the unlikely event of a crash/collision. - No personal video equipment is allowed. - Bikes must be marked with the competitor's race number. We will give you sticky labels with your race number on for this purpose. Bike Helmets are compulsory for triathlon. "Approved cycling safety helmets of ANSI Z90.4, SNELL B90, EN 1078 or an equivalent national standard must be worn by competitors. " Click here for a Strava map of the bike route. Hope to see you in June or before. Please contact / tweet / or Facebook if you have any questions or comments about this event. transfers of entry are not allowed. If for reasons beyond our control, due to unforeseen, naturally occurring events, including an 'act of God', this event has to be cancelled or postponed, we will be unable to offer a refund.